Heart of the City Elite is a competitive travel soccer program for boys and girls (U9-U19). Athletes perform at higher levels of play with a focus on player development. $500 fee for all age groups if a player resides in: Waukegan, Zion, North Chicago, Round Lake, Beach Park, Winthrop Harbour. Register for FREE before Friday, April 26. Register below or call 847-623-6200. Q: What is the commitment to play with HOTC Elite? 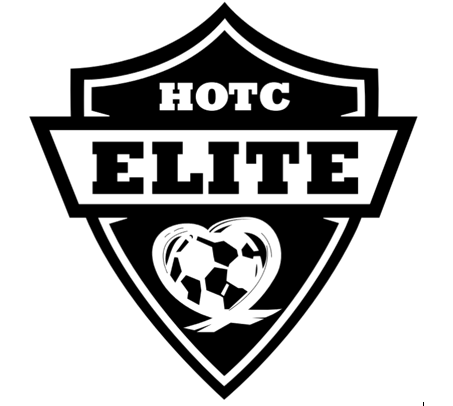 Players U8 through U14 are committing to play with HOTC Elite for the Fall, Winter & Spring season. HS Girls are committing to Fall & Winter season; HS Boys are committing to the Winter & Spring season. NOTE: once a player registers for the new season (above), it is the club’s discretion as to whether we grant a player release, if a release is requested. We will NOT grant a player release without all fees paid in full. Yes, absolutely. 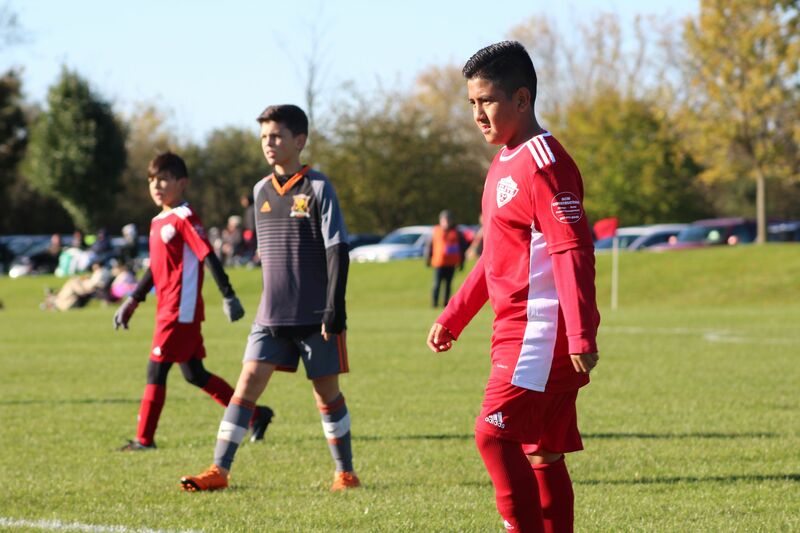 We know that repetition is key in developing highly skilled soccer players, therefore we offer training (2 sessions per team) and games (10 games) during the winter season. Winter program is included in the year-round fees. Q: Is there a lot of travel in travel soccer? During each season (Fall & Spring), each team will generally play 8-10 league game in the fall and 8 games in the spring; half of these games are home games and half away. Our younger teams generally travel within a 10-20-mile radius for away games; our older teams generally travel between 10-30 miles radius for away games. Q: Do your teams travel to out-of-state tournaments? 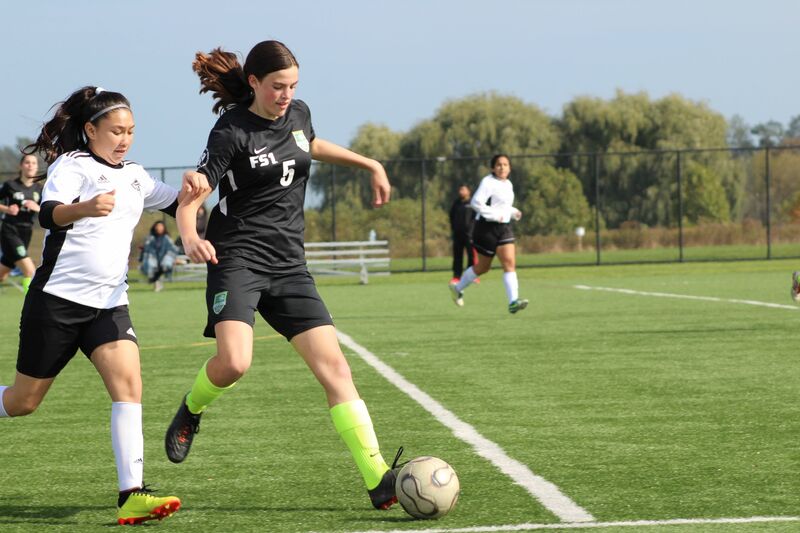 HOTC Elite high school teams will travel to college showcase tournaments where they can be seen by college scouts and improve their chances of being selected to play college soccer. Q: Can my son or daughter still play with HOTC Elite if they play other sports? We actually recommend younger children experience different sports. Unlike some other organizations, we believe that playing different sports is beneficial for a child's overall well-being, social skills and cognitive development. Your child can still play with HOTC Elite if they play other sports, however, an overload of sports can be stressful for a young athlete, due to the physical and mental demands of sports and the time commitments required. These factors should be taken into consideration when making that decision. Q: If I have a concern or complaint, who do I go to? If a complaint pertains to a team and/or coach, it is recommended you first try and talk to the coach to reach a mutual solution. If this cannot be achieved, then you may contact the Director of Coaching. Q: I still have questions, who should I contact? Send an email to our Director of Coaching. You will receive a response within a 48 hour period. Julio Serrano, Director of Coaching - julio@heartofthecitysports.org. Dean Smith, Director of Operations - dean@heartofthecitysports.org. We feel that our costs are the best in the area, considering the caliber of staff, training and game facilities, league fees, insurance, tournament play, etc. 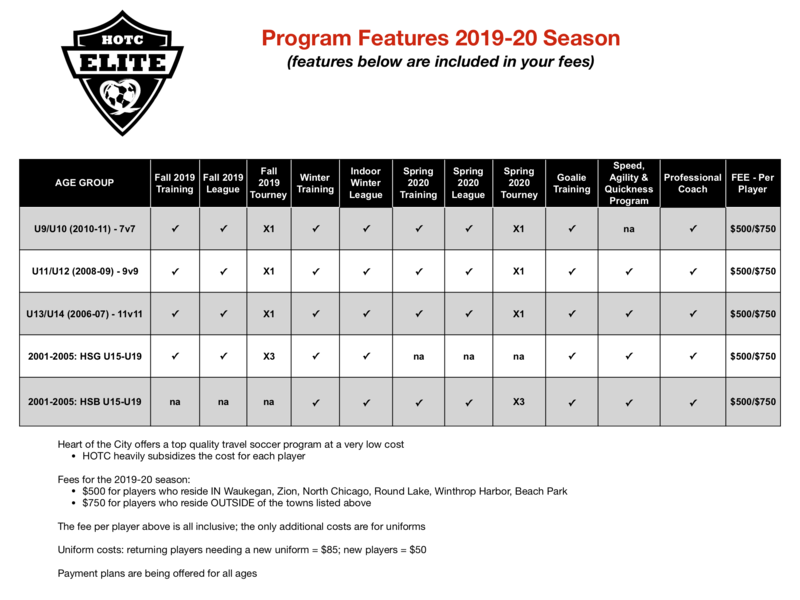 Heart of the City subsides 80% of the cost per travel player compared to other travel soccer programs in Lake County. Costs are for the entire year and can be paid in installments. A year-long commitment is required. Registration fees for our travel program range from $500-$750. Per the U.S. Soccer Federation, the 2018 national average to play travel soccer was $2,500-5,000 per season. As a nonprofit organization, Heart of the City raises funds to offset as much of the actual program cost as possible so that youth in our community have the opportunity to play travel soccer. Q: What if I don’t make a payment on time? You must contact one of Heart of the City’s program administrators at our office if you're unable to make your payment for any reason (call 847-623-6200). Your account will be held for 5 business days before your player is marked ineligible for further travel play (until your account is brought into good standing once more). Q: If my son or daughter commits to HOTC Elite but then we opt out when the season starts, can we get a refund? We budget for each team and the number of players on the roster to keep costs very reasonable. For this reason, NO refund will be issued, unless there is a long term injury or illness. Q: Does HOTC Elite have parents or team managers coaching players? All of our teams have professional coaches who train and coach games. If there is a situation where a coach has a conflict with another team or cannot get to a training session/game, another staff coach will cover for them. Q: Will we know our team coach before we try out? How do you decide on coaching staff? Coaching staff assignments are not made until after the tryouts, when we know how many teams and age groups, the makeup of the teams, etc. Our staff assignments will be made by our Director of Coaching with certain criteria in mind, such as the personality of the team/coach, coaching license, coaching style, needs of the players on the team, coach experience, etc. Q: How do you decide which players make the teams during the tryout process? HOTC Elite’s professional coaching staff will evaluate all the players during tryouts. The criteria our staff uses when evaluating a player is based on the four pillars of the game: technique, tactical, physiological & psychological factors. We don't just base our evaluation on “here and now,” we also take into consideration the potential of a player and how they would develop in time with quality training. Q: When will I know if I've made a team? Post-tryout notifications will be made within days of the final tryout. All players that are offered a position on a team will be asked to come to the registration night, usually the following week. If we don't receive an acceptance from the player at registration night, your child's position will be offered to the next player on the waitlist. Q: What happens if a parent or coach gets verbally or physically abusive during a game? Please remind the parent or coach of the "code of conduct form" they read and acknowledged at registration. All comments directed towards the field should be words of encouragement and praise, not criticism. If the parent or coach continues to be a problem, any board member, group coordinator, coach and/or referee has the authority to ask that person to leave immediately, and the offending person will be found to be in violation of HOTC Elite’s "Parent Agreement" policy. If the offending person refuses to leave, the referee has the authority to end play immediately, and the offending team will forfeit the game. *Please read about our Zero Tolerance policy here. Q: Do all players get playing time? All players will get playing time, but this question has its variables: Playing time for our younger players will be more spread out. As players get older, all players will still get playing time, but more time on the field will be established based on the ability of your child, his or her commitment, work ethic, skill sets that suit certain functions, the team's positional needs, etc. Q: Does HOTC Elite allow players to "play up" an age group? HOTC Elite currently has some players "playing up" an age group for the whole season. Our policy on "playing up" is that the player must be of exceptional ability, be physically and mentally able to play up, and would developmentally benefit from this experience. It is a decision made by the Director of Coaching post tryouts. During the season, if a team is short on numbers due to injury, etc, then we may substitute a player from another team or an age group below to play up for certain games or tournaments. Q: If my child has a conflict with his/her team's practice, can they attend another team's practice session? 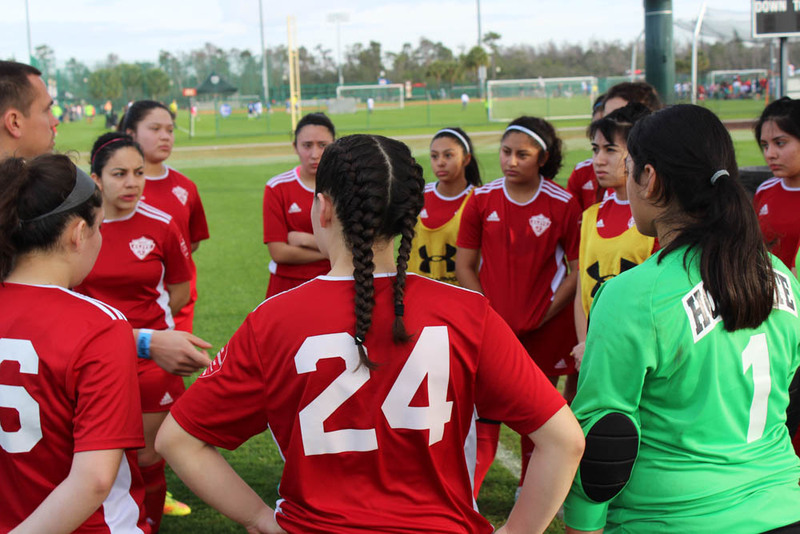 HOTC Elite will allow your child to attend another team's session if a conflict occurs. It is important that your child is getting plenty of training time in order to develop their game. However, you MUST contact your team coach when a conflict arises, so the player, coach and Director of Coaching can find an alternative training opportunity that works for your child. Q: What are the safety rules? Shin guards are mandatory (under socks) for games and practices. No jewelry may be worn for games or practices. Regular eye glasses without other forms of protection are not allowed - you must shield them in some way with goggles or something similar. Hoods may not be worn during play - they must be tucked inside the jersey. Jerseys must be tucked into shorts. If there is an injury on the field, we always err on the side of caution, and play will stop at change of possession while the injury is assessed. We will call an ambulance ANYTIME A HEAD INJURY IS SUSPECTED! Q: Los tryouts de HOTC están abiertos para todo jugador potencial? Q. Cuál es el compromiso para jugar con HOTC Elite? Jugadores de U8 a U14 se están comprometiendo a jugar con HOTC Elite para el Otoño, Invierno & Primavera. Las niñas de preparatoria se están comprometiendo a las temporadas de Otoño y Primavera; Los niños de Preparatoria se están comprometiendo a las temporadas de Invierno y Primavera. NOTA: Cuando un jugador se registra para la nueva temporada, está a discreción de el club si liberamos a un jugador si es pedido. No libraremos a un jugador sin que los pagos estén hechos por completo. Q: Los equipos participan en entrenamiento o juegos durante el invierno? Si, absolutamente. Sabemos que repetición es clave en desarrollando jugadores de fútbol altamente cualificados, por eso ofrecemos entrenamiento (2 sesiones por equipo) y juegos (10 juegos) durante la temporada de invierno. El programa de Invierno está incluido en los costos del año. Q: ¿Hay muchos viajes en fútbol competitivo? Durante cada temporada (Otoño & Primavera), generalmente cada equipo jugará de 8 a 10 juegos de liga en el otoño y 8 juegos en la primavera; la mitad de estos juegos son locales y la otra mitad son fuera. Los equipos de jugadores más chicos, generalmente viajan de 10 a 20 millas; los equipos de jugadores más grandes, generalmente viajan de 10 a 30 millas. Q: Sus equipos viajan fuera de el estado para torneos? Los equipos de Preparatoria de HOTC Elite viajan a torneos de exhibición colegial donde pueden ser vistos por reclutadores de colegios y mejorar sus oportunidades de ser seleccionados como jugadores de colegio. Q: Mi hijo o hija puede jugar con HOTC Elite mientras practican otros deportes? De hecho, recomendamos que los niños más pequeños experimenten diferentes deportes. A diferencia de otras organizaciones, creemos que practicar diferentes deportes es beneficioso para el bienestar general, las habilidades sociales y el desarrollo cognitivo de un niño. Su hijo aún puede jugar con HOTC Elite si practica otros deportes, sin embargo, una sobrecarga de deportes puede ser estresante para un atleta joven, debido a las demandas físicas y mentales de los deportes y al tiempo requerido. Estos factores deben tenerse en cuenta al tomar esa decisión. Q: Si tengo una preocupación o queja, con quien me comunico? Si una queja se refiere a un equipo y / o entrenador, se recomienda que primero intente hablar con el entrenador para llegar a una solución mutua. Si esto no se puede lograr, entonces puede contactar al Director de Entrenamiento. Q: Aún tengo preguntas, a quien debo contactar? Mande un correo electrónico a nuestro Director de Entrenamiento.Recibirá una respuesta en un periodo de 48 horas o menos. Q: Jugando futbol competitivo es costoso? Sentimos que nuestros costos son los mejores en el área, considerando el calibre de nuestro personal, instalaciones de entrenamiento y de juego, cuotas de liga, aseguranza, torneos, etc. .
Heart of the City reduce el 80% del costo por jugador competitivo en comparación con otros programas de fútbol de viaje en el Condado de Lake. Los costos son para todo el año y se pueden pagar mensualmente. Se requiere un compromiso de un año. Costo de registración para nuestro programa competitivo es de $500- $750. Registration fees for our travel program range from $500-$750.Según la Federación de Fútbol de EE. UU., El promedio nacional de 2018 para jugar fútbol competitivo fue de $ 2,500-5,000 por temporada. Como organización sin fines de lucro, Heart of the City recauda fondos para compensar la mayor cantidad posible del costo real del programa para que los jóvenes de nuestra comunidad tengan la oportunidad de jugar fútbol competitivo. Q: Que pasa si no hago un pago a tiempo? Q: Si mi hijo/hija se compromete con HOTC Elite, nos podemos my son or daughter commits to HOTC Elite but then we opt out when the con season starts, can we get a refund? Hacemos un presupuesto para cada equipo y el número de jugadores en la lista para mantener los costos muy razonables. Por este motivo, NO se emitirá ningún reembolso, a menos que haya una lesión o enfermedad a largo plazo. Q: HOTC Elite tiene padres o gerentes de equipo entrenando a los jugadores? No, todos nuestros equipos tienen entrenadores profesionales que entrenan a los equipos. Si se presenta una situación que hay un conflicto con otro equipo o no puede asistir un entrenamiento o juego, otro miembro de nuestros entrenadores cubrirá esa responsabilidad. Q: Sabremos quien es el entrenador del equipo antes de las pruebas? Cómo deciden quienes son los entrenadores? Las asignaciones de entrenadores no se realizan hasta después de las pruebas, cuando sabemos cuántos equipos y grupos de edad, la composición de los equipos, etc. Nuestro director de coaching realizará las asignaciones de nuestro personal teniendo en cuenta ciertos criterios, como la personalidad del equipo/entrenador, licencia de entrenador, estilo de entrenamiento, necesidades de los jugadores en el equipo, experiencia del entrenador, etc. Q: Cómo deciden cuáles jugadores califican para los equipos durante el proceso de as pruebas? El personal de entrenamiento profesional de HOTC Elite evaluará a todos los jugadores durante las pruebas. Los criterios que utiliza nuestro personal al evaluar a un jugador se basan en los cuatro pilares del juego: técnica, factores tácticos, fisiológicos y psicológicos. No solo basamos nuestra evaluación en "aquí y ahora", sino que también tenemos en cuenta el potencial de un jugador y cómo se desarrollarían a tiempo con una capacitación de calidad. Q: Cuándo sabré si soy parte del equipo? Las notificaciones posteriores a la prueba se realizarán a los pocos días de la prueba final. A todos los jugadores a los que se les ofrezca un puesto en un equipo se les pedirá que asistan a la noche de inscripción, generalmente la semana siguiente. Si no recibimos una aceptación del jugador en la noche de registro, la posición de su hijo se ofrecerá al siguiente jugador en la lista de espera. Q: Que pasa si un padre o entrenador es verbalmente o fisicamente abusivo durante un juego? Q: Todos los jugadores obtienen tiempo de juego? Todos los jugadores obtienen tiempo de juego pero esta pregunta tiene sus variables: Tiempo de juego para los jugadores más chicos será más prolongado. Los jugadores crecen , todos los jugadores aún obtendrán tiempo de juego, pero más tiempo de juego será establecido a base de la habilidad del jugador, su dedicación, ética de trabajo, y sus habilidades para ciertas funciones y las necesidades posicionales, etc. Q: HOTC Elite permite que jugadores jueguen en una edad mayor a la de el jugador? HOTC Elite actualmente tiene algunos jugadores jugando a un grupo mayor de edad durante toda la temporada. Nuestra política de jugar es que el jugador debe tener una habilidad excepcional, tener capacidad física y mental para jugar, y se beneficiaría de esta experiencia en el desarrollo. Es una decisión tomada por el Director de Coaching después de las pruebas. Durante la temporada, si a un equipo le faltan números debido a una lesión, etc., podemos sustituir a un jugador de otro equipo o grupo de edad para jugar ciertos juegos o torneos. Q: Si mi hijo/hija tiene un conflicto con el entrenamiento de su practice, pueden asistir la sesión de práctica de otro equipo? HOTC Elite permitirá que su hijo asista a la sesión de otro equipo si se produce un conflicto. Es importante que su hijo reciba suficiente tiempo de entrenamiento para desarrollar su juego. DEBE comunicarse con el entrenador de su equipo cuando surja un conflicto, para que el jugador, el entrenador y el Director de Entrenamiento puedan encontrar una oportunidad de entrenamiento alternativa que funcione para su hijo. Q: Que son las reglas de seguridad? Suspender el juego / la práctica INMEDIATAMENTE si hay LIGHTNING. Se requieren protectores de espinilleras (debajo de los calcetines) para juegos y prácticas. La joyería no puede ser utilizada para juegos o prácticas. No se permiten lentes normales sin otras formas de protección; Se debe proteger de alguna manera con gafas o algo similar. Las capuchas no se pueden usar durante el juego, deben estar metidas dentro de la camisa. Las camisetas deben estar fajada. Si hay una lesión en el campo, siempre erramos por el lado de la precaución, y el juego se detendrá en el cambio de posesión mientras se evalúa la lesión. ¡Llamaremos a una ambulancia EN CUALQUIER MOMENTO QUE SOSTENGA UNA LESIÓN EN LA CABEZA! Se suspende juego/práctica INMEDIATAMENTE si hay relámpagos.